One of the first things that we bought for the new iPad Air is the Apple Pencil. We aren’t great artists by any means, we can barely draw stick figures. But Apple Pencil is a great tool to have even if you’re not an artist. If you’re a student and you rely heavily on your iPad to jot down notes there are several apps you can use to take advantage of Apple’s Pencil, and you can also use it to navigate through the iPad, as well as a tool to help you edit photos on the go to get those precise tweaks. The second thing we’d recommend is a screen protector. We picked up a glass screen protector from Amazon, by amFilm. Nothing special about this other than the fact that it can save you a trip to the Apple Store and setting up a genius appointment because you shattered your screen. The Apple Pencil also works great with this screen protector, we haven’t noticed anything unusual, although we found that the Apple Pencil was a lot smoother with this screen protector on which could be a good thing or a bad thing if you use the Apple Pencil every day. It comes with two screen protectors in case you mess up on your first application, or shattered the first one in a bad tumble. It’s also incredibly affordable at just $10. There are other brands you can buy from Amazon, but we think this is the best bang for your buck. Next up is a case that can protect your iPad from small bumps or scratches, and this is the Kohmo Companion Cover. This was actually built for the 2017 10.5-inch iPad Pro as you can see from the camera cutout, and the speaker cutouts. 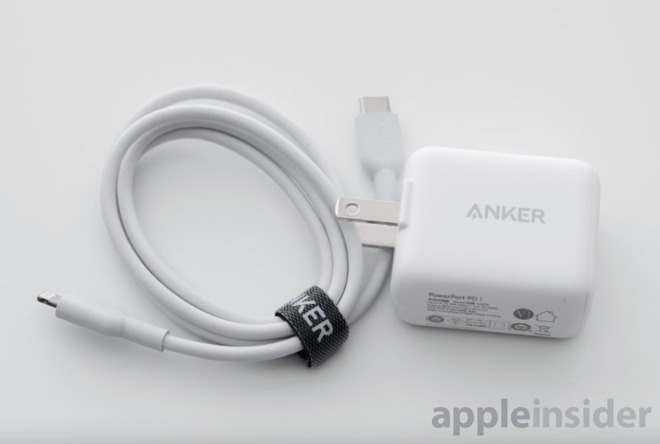 Instead of having two speaker cutouts, there are four, and on the back, there’s a pill-shaped cutout for the camera and flash found on the 10.5-inch Pro model from 2017. Also, given the name Companion Cover, this pairs well with our next recommendation —Apple’s Smart Keyboard. 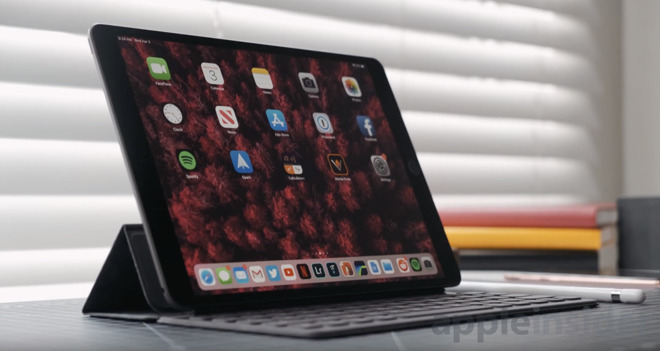 We’ve talked about how great this keyboard is in our full review, but to reiterate what we said in the review, this is the best keyboard you can buy for the new iPad Air. It connects using the Smart Connector, so you don’t have to pair it via Bluetooth, or ever charge it, and with the KOHMO Companion Cover, you’ve got protection for both the front and back which is really neat. 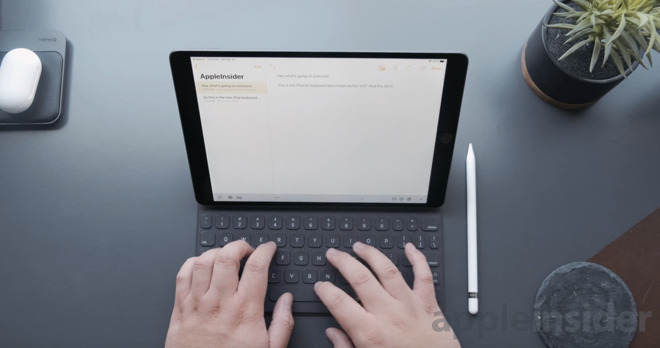 If the Kohmo Companion Cover and Smart Keyboard isn’t your thing, and you want something that’ll just protect your device, we’d recommend picking up the Poetic TPU case with a built-in Apple Pencil holder. 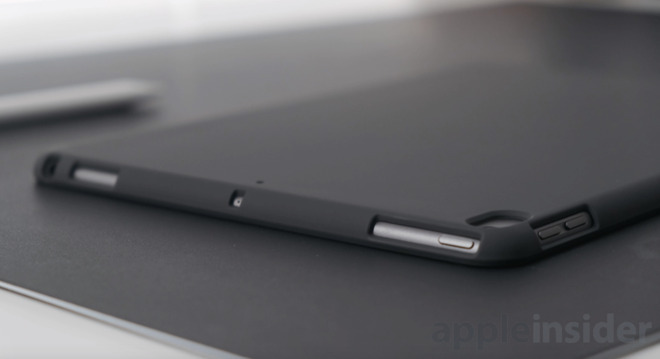 It covers both the front and back of the iPad, and there’s a built-in pencil holder which is incredibly useful since there’s really no other way to store the pencil other than leaving it next to the iPad, or on top of it. One thing we’re not fans of though are the magnets on this case, they’re not super strong so the tri-fold mechanism you can usually do with Apple’s own smart cover is a little bit tough to do. Otherwise, a great, simple case. 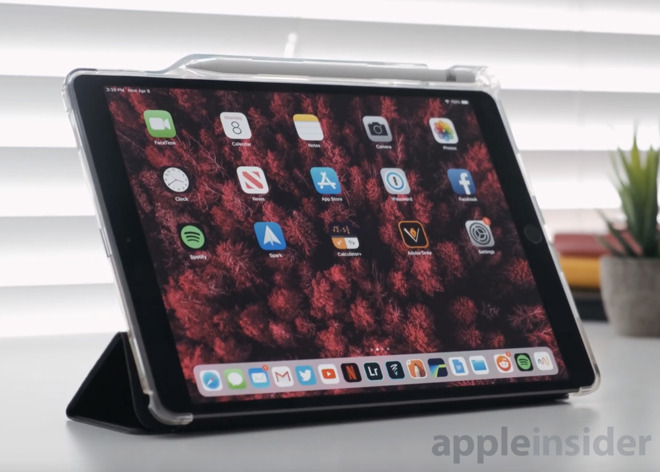 The iPad Air is very new and we will undoubtedly see more and more accessories flood the market to deal with the slight tweaks in its design from previous iterations. These happen to be the ones we’ve picked up but there are many other options out there. Hopefully, this guide at a minimum pointed you in the right direction.